Tired of plain chicken breasts and broccoli for lunch? 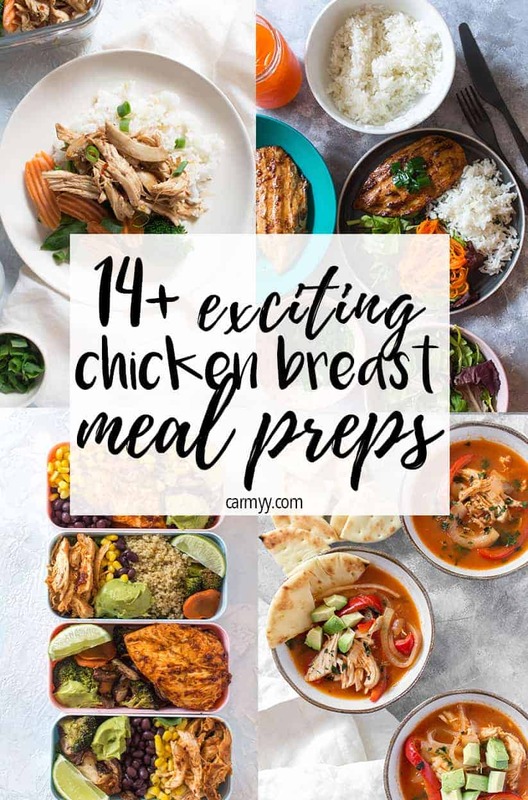 Here are 14 delicious and delicious chicken breast meal preps that are not boring at all! I feel like chicken breasts get a bad rep. They’re always called dry and boring but they’re one my favourite cuts of chicken when it comes to meal prepping! Chicken breasts are an excellent source of low-fat protein plus they are so versatile. If you need some tips and tricks on preparing chicken breasts perfectly, I’ve got you covered on that linked blog post. 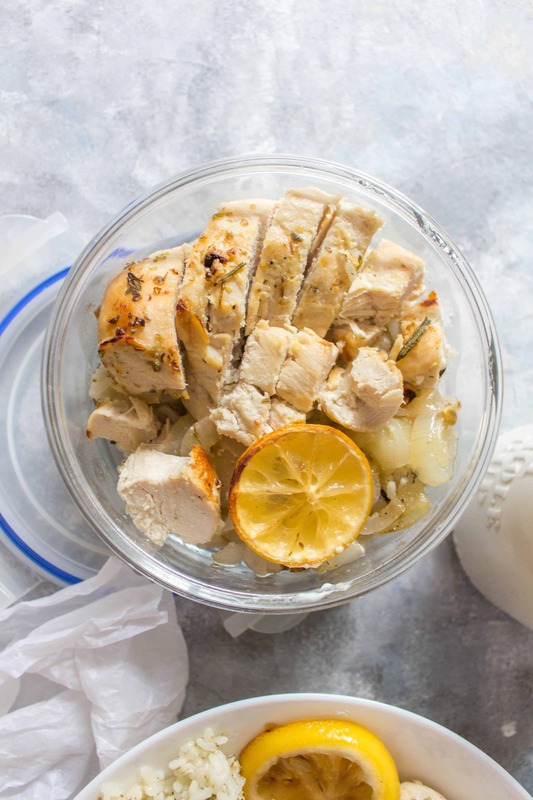 Anyways, after seeing question after question on how to keep chicken breasts from being boring, I decided to put this round up together with some of my go-to not boring chicken breast meal preps so you can start looking forward to your lunches! Don’t forget to keep this page pinned or bookmarked as I’ll be adding more as I find/make more recipes! If you are meal prepping the breast as is (ie not shredding), be sure to not slice the chicken until you’re ready to eat it. Slicing it before storing in your fridge will contribute to dry chicken. If you’re super worried about the chicken drying out when reheating, wet a paper towel and spread it over top your container before microwaving it. 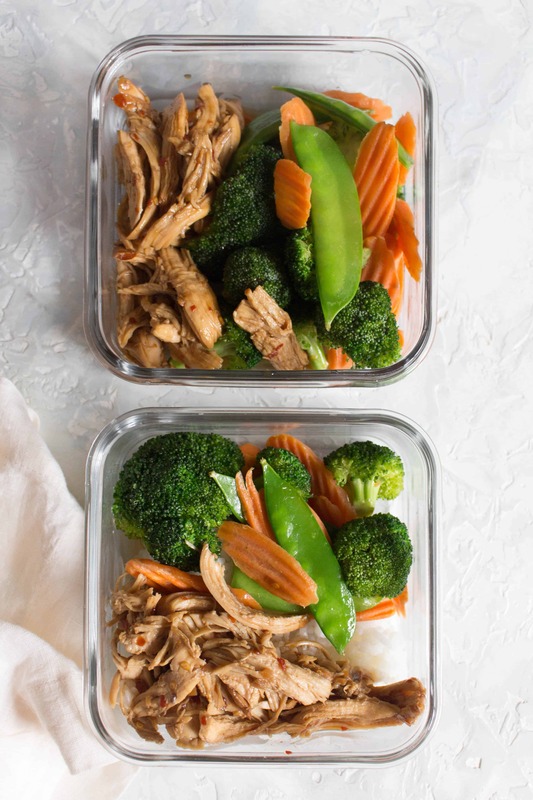 If you’re using these chicken recipes for meal prepping, I’m a huge fan of glass containers for packing my lunches in as they’re great for reheating in the microwave and they don’t hold onto smells over time. You can even get containers that have dividers if you want to keep certain components of your meal separate. If you are interested in a meat subscription so you’ll always have meat in your freezer, check out Butcherbox for hormone and antibiotic free meat delivered to your door! Use “AP10” for $10 off and free bacon in your first box! Shipping is free. Want more information about meal prepping? Confused and curious about how to start meal prepping? 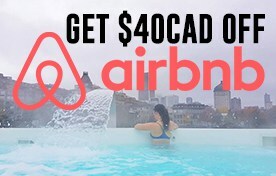 Want to have everything you need in one convenient spot? 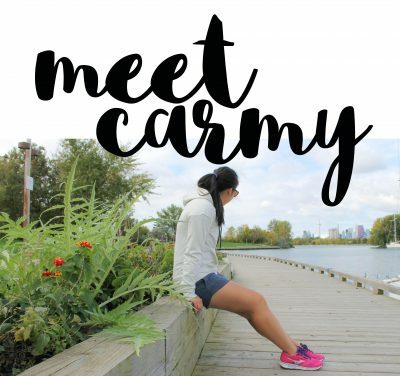 Check out my new e-book – it is everything you need to know to start meal prepping! Perfect for hot summer days, this easy chicken pepperoni pasta salad is just what you need! 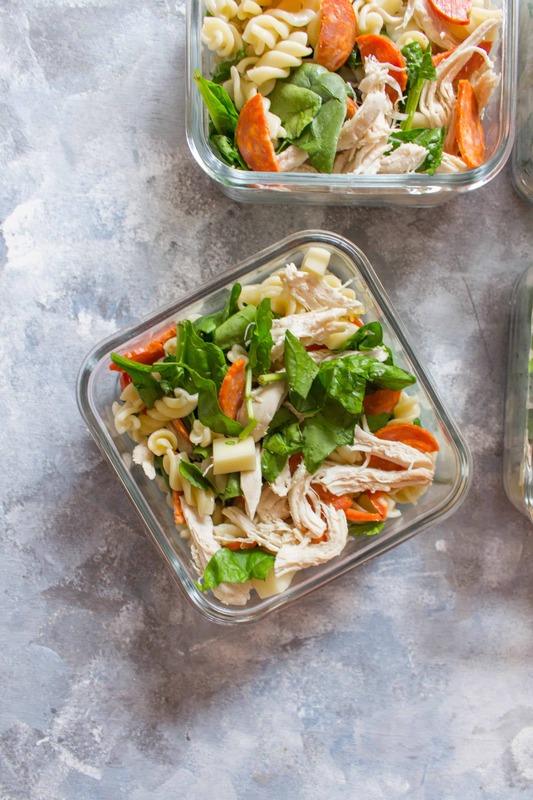 Plus, this pasta salad is great for meal preps if you have don’t have access to a microwave. 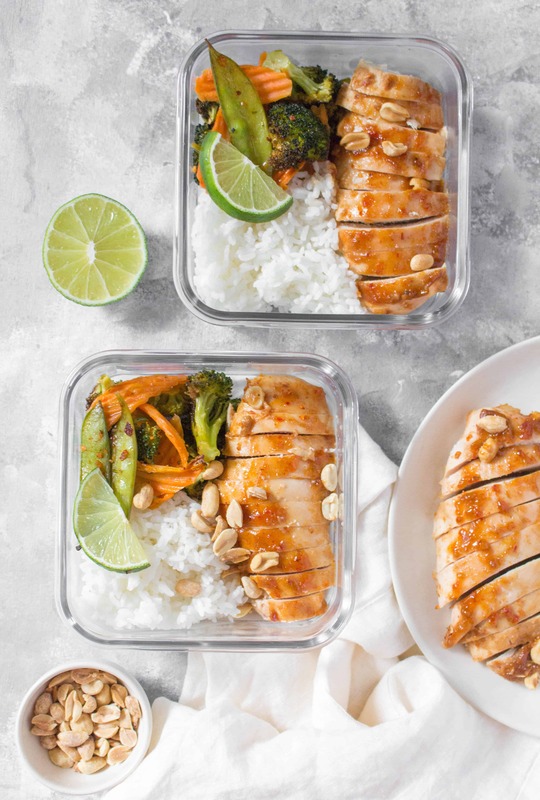 This Vietnamese Grilled Chicken Meal Prep is jammed packed with a whole lotta flavour thanks to its flavourful marinade. 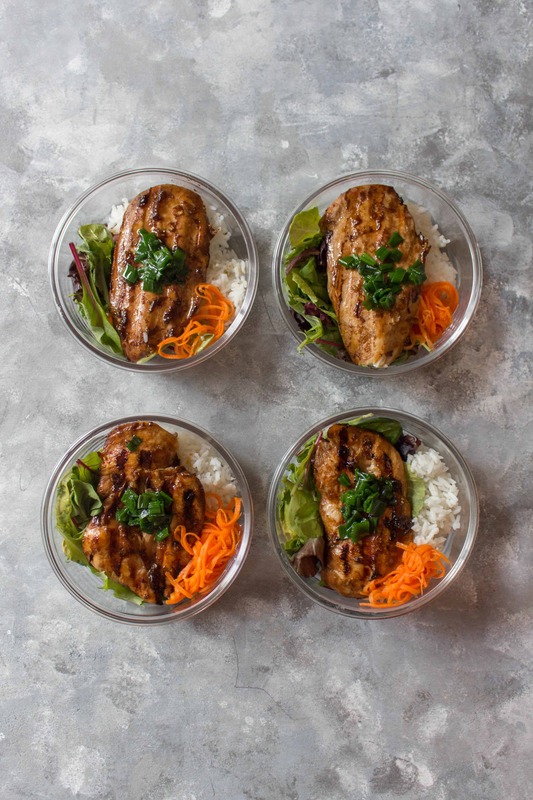 This Vietnamese Grilled Chicken is perfect for either a meal prep or as a weeknight dinner. 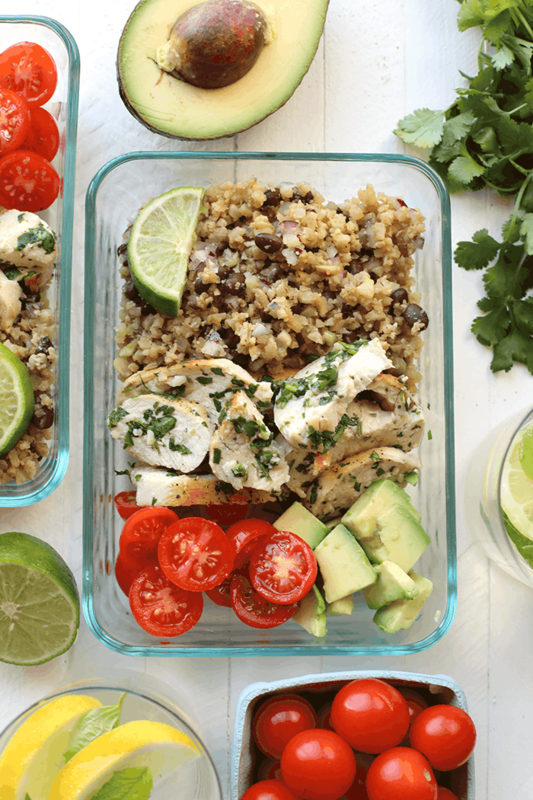 Get your meal prep on with this healthy meal prep cilantro lime chicken served next to a delicious cauliflower rice! This meal prep recipe is low-carb, high-protein, and about to be a staple in your routine. Recipe from Fit Foodie Finds. Skip the take out and make this easy Sheet Pan Thai Peanut Chicken as a weeknight dinner or as a meal prep for the week! 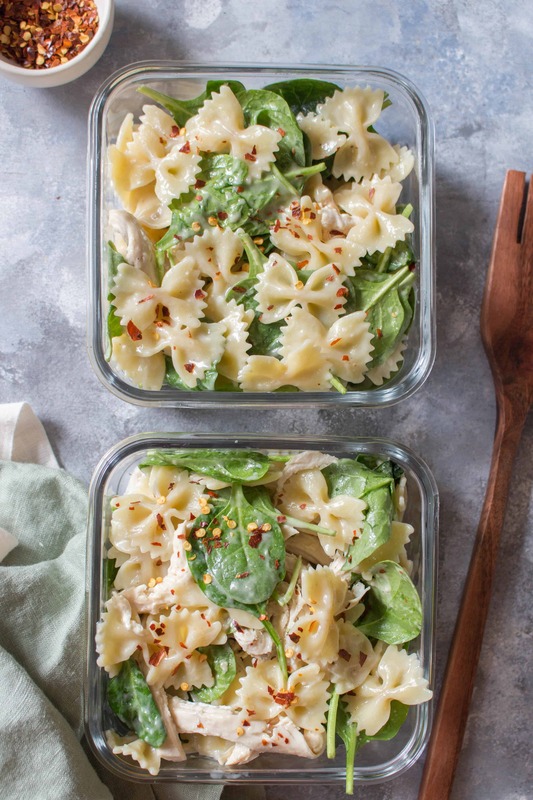 This Cold Chicken Spinach Pasta Salad is the perfect easy cold meal prep idea or a dish for a potluck! Looking to change up your regular boring chicken meal prep? 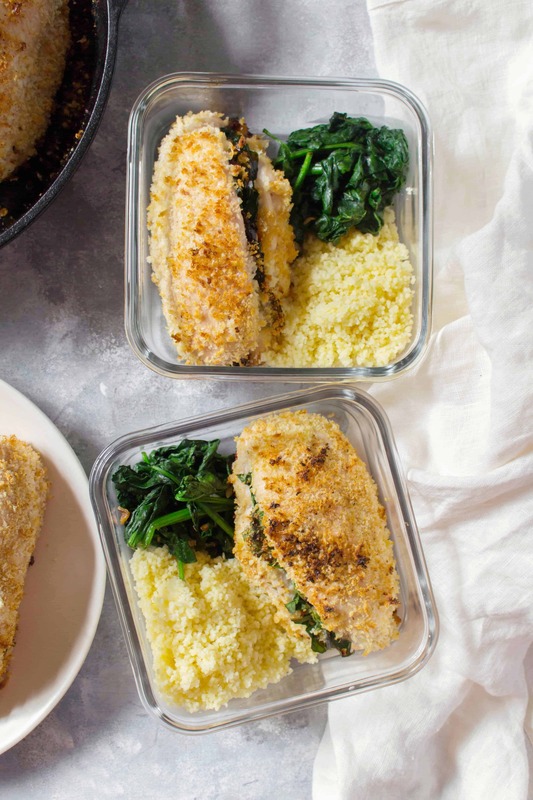 This Spinach, Sun Dried Tomato, and Cheese Stuffed Chicken Meal Prep will have you asking for more as it is stuffed with flavour without having to spend time marinating! 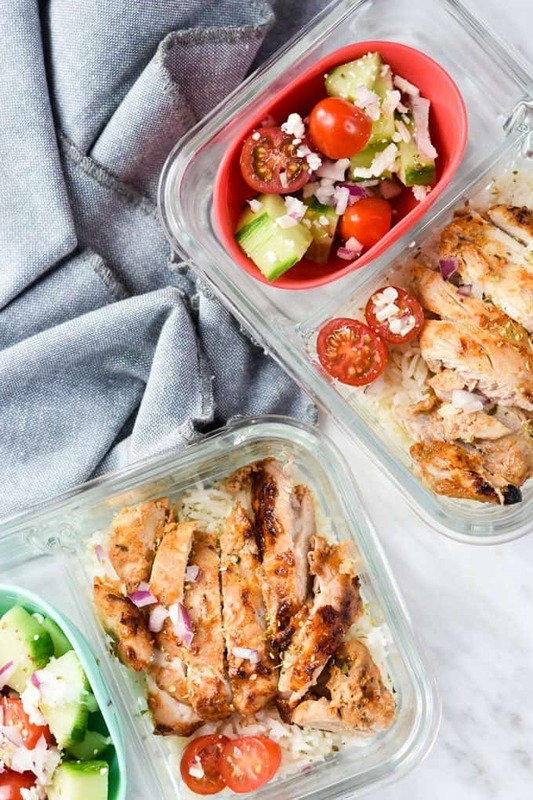 Baked Chicken Shawarma Meal Prep lunches have it all. Flavorful crispy chicken, rice, and all of your veggies. Okay, I know Steph uses chicken thighs here but it can be subbed with chicken breasts and this recipe is too yummy to not include in this round up! This Instant Pot Teriyaki Chicken is full of bold flavours that will quickly become a weeknight family favourite and is makes the perfect speedy meal prep. Don’t have an Instant pot? try this Sheet Pan Teriyaki Chicken Meal Prep instead! 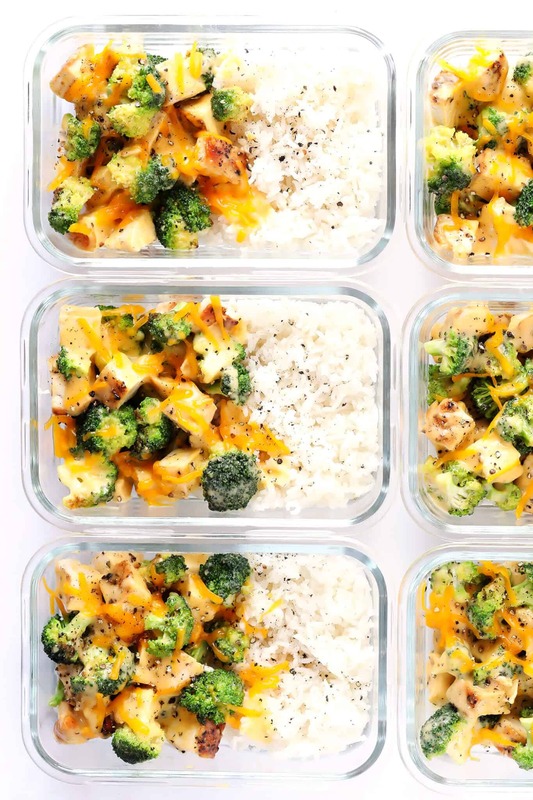 This Cheesy Broccoli, Chicken and Rice Bowls recipe is easy to make for lunch meal prep or weeknight dinners, it is tossed with a lightened-up cheddar cheese sauce, and it’s totally comforting and delicious! Recipe from Gimme Some Oven. This Instant Pot Coconut Thai Curry Chicken Meal Prep has been the easiest meal prep I’ve done to date! 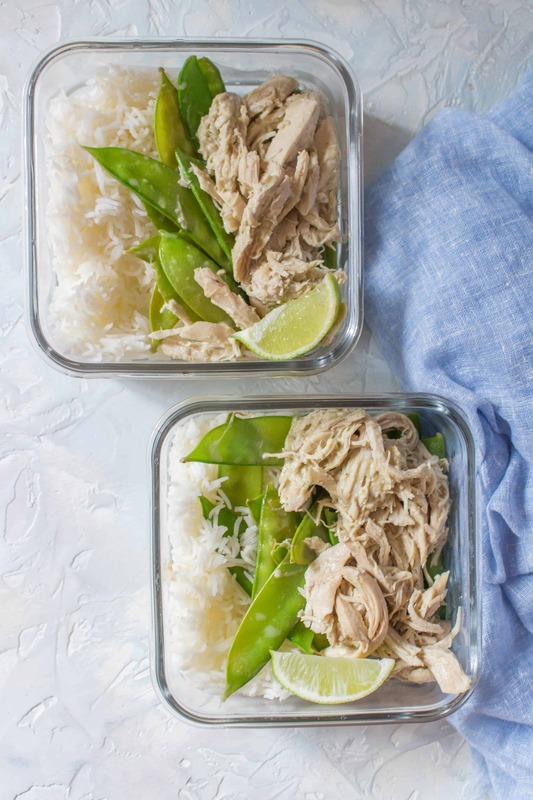 Prep your lunch or dinner for the week with this Coconut Thai Curry Chicken Meal Prep. Don’t have an Instant Pot, make this stovetop Thai Inspired Chili Lime Coconut Chicken. Looking for a little more variety in your weekly meal prep? 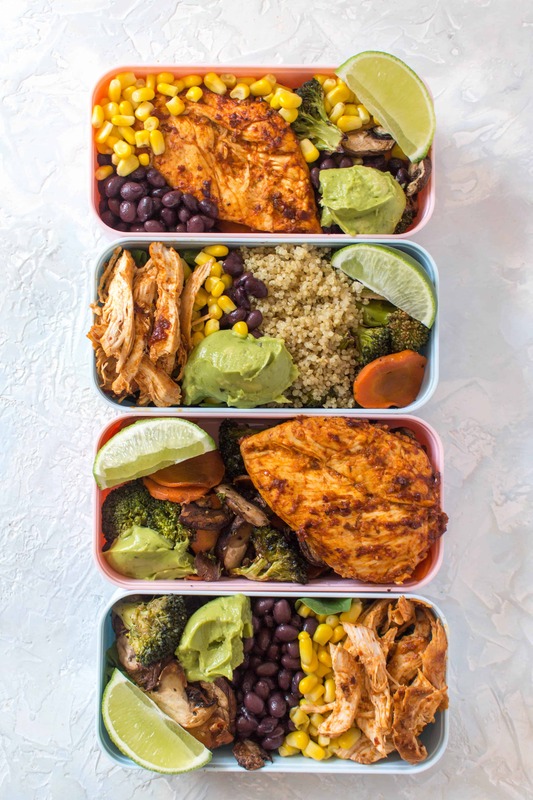 This chipotle chicken meal prep 4 ways is simple but changes slightly between each dish so you don’t have to eat the same exact lunch 4 days in a row without having to do additional work! 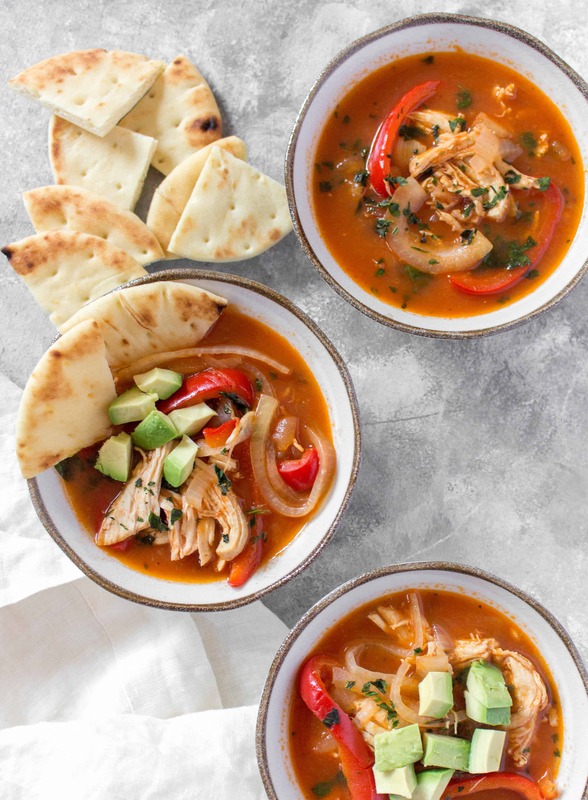 This Salsa Chicken Soup is the perfect soup for a cold day. Great as either a meal prep for lunch or an easy weeknight dinner, plus this Salsa Chicken Soup is also freezer friendly! 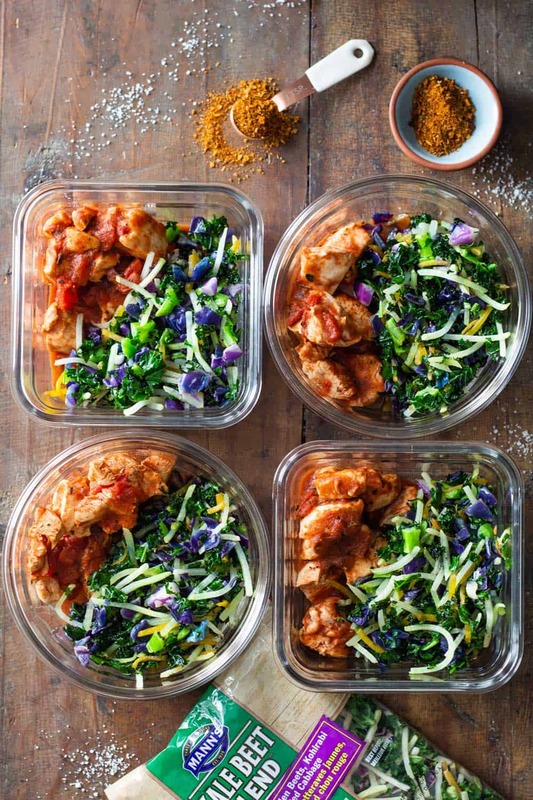 11-minute prep Cajun Chicken Meal Prep Bowls. Full of flavor, nutritious, delicious and extremely easy to prep. Make 4 lunches in the blink of an eye. Recipe from Green Healthy Cooking.